Upon arriving to Arizona, I was greeted by 60 degree weather along with various forms of cacti. This state treated me well over the first few days I visited. Once at the subdivision, the houses were all the same color and quite close to each other, there was little distance between them. Our house has a palm like tree and others have cactus of different sizes and shapes. It was a joy to walk Gabby, the terrier around the block twice everyday and see the other dogs that tagged along. Doves, wood peckers and finches called the patio home as they munched on bird seed and sang their hearts out until a hawk came around then they dispersed quickly. The first day we went to a museum housing raptors such as Cooper’s hawk and Great Horned Owl. The entire landscape of the museum was outdoor and covered with cacti. I had to watch where I was walking because the vegetation almost seemed as though it was out to get me. I kept my head bent toward the sky, to see the majestic raptors in flight. The museum also housed snakes such as the Diamond Back Rattle Snake. Its head was the shape of an arrow with a stone cold stare into my eyes on the other side of the glass. I admired its beauty and wished I could’ve reached out to touch it. I was in awe of the landscape day after day while out on the road. I was zooming past mountains and open desert every day and the mountains stood still. That day, the temperature rose quickly which allowed me to shed layers and come to terms with the Arizona weather. We walked around for quite a while admiring the plants along with small mammals who walked around their enclosure in front of the museum guests. I came across a pair of bobcats weaving in and out of the rocks while one licked the other. The larger cat seemed to keep watch over the other, it had a stare that pierced my eyes but showed its fierceness. Like all animals I loved seeing its beauty and its medium size. Early on, I watched the ground looking for scorpions and other insects viewed while in the museum. They were small, crawling through their small enclosure with their tails in the air. They were quite harmless behind glass so I enjoyed their beauty as well. I looked up and saw frogs in a pond that looked like they could be from the bogs of Georgia. I loved their appearance and personality as well as their distinctive color and size. In this part of the museum, I could see a skunk curled up in a deep sleep, suddenly it looked up at me before ducking its head back under. As I wander the halls of Dalkeith house for the last time, I remained pensive about my final hours in Scotland. This morning was spent watching students depart for elsewhere in Europe, either to Paris or Rome. I was proud of their tenacity to explore the world so independently. Earlier today, I took the time to read my Harry Potter book in the library which had a view of Montagu bridge. Reading in this setting proved to be the most magical part of the entire experience. I flipped past every page faster than I would have at home and smiled to myself when I discovered every surprise the book had to offer. Today was a day I took for only myself, given the fact that Experience Scotland has been my own experience. I wanted to make it the best it could possibly be by exploring the grounds of Dalkeith house. Eventually, I found myself surrounded by forest and small forest creatures, I put my fingers upon a spider crawling on the railing after just viewing a duck swim down the river. I walked a bit farther to see that the river continued on to reveal even more dirt trail. I thought this was one of the best ways to say goodbye within the forest while looking at Dalkeith house in the distance. To be honest, I did not feel lonely simply because I was in the forest surrounded by beauty. The floor of the trail was lined with bright green vegetation with the occasional flower being pastel blue or pink. These little surprises proved to be one of the best ways to suppress my sadness of leaving for the summer. As I walked closer to the house, I saw an older man with his dog who was running after a stick. I regarded him briefly while walking at the same time. He spoke to me about where I was from and asked if I liked it here, I agreed and felt the sadness creep up on me once again. Near the end of the afternoon, I felt as though the journey had come full circle with the people I talked to and the opportunities available. This is what makes the end all the more satisfying and bittersweet. Standing on the balcony of Linlithgow palace was a magical affair to look over the city much like those who ruled years before. While on the balcony, I couldn’t help but feel as though I was standing in the shoes of Mary, Queen of Scots. The palace was spacious with large towers that lead up to the very top of the palace to see the entire town of Linlithgow. Being at the palace proved to be educational because I got to explore a wing with a small museum featuring items found throughout the castle. One was a sword placed next to a gun, other items were shards of bowls used for cooking. Most of the morning was spent exploring the palace, searching for the perfect angle in which the view the fortress so perfectly preserved. The magic thrived at this castle because of its medieval theme. Sadly, I felt myself slipping away from the fairy tale that was Linlithgow palace, a part of me was still excited for what Stirling castle had in store as I walked through the doors. Upon reaching Stirling, I knew the castle there was going to be big. We had to walk at least a mile up to it and once I reached it, I was very surprised to see the sheer size of it. This castle took on the identity of those that appear in horror novels and Game of Thrones episodes. I found this castle to be much larger than the palace I had just visited. I was a part of the guided tour that pointed out significant locations where battle occurred, there were also bloody battles that went on in the castle as well. 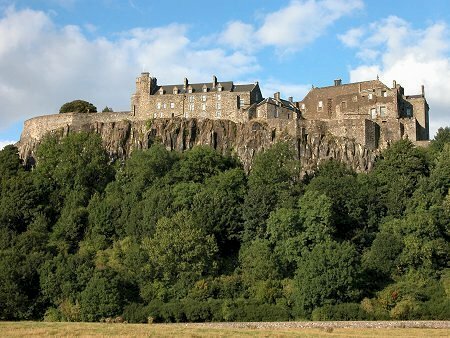 The tour was quite informative about the history of Stirling castle including the battles and how people lived in the castle. During my time at the castle, the consequences of battle were explored, there were skeletons found of those who sustained injuries. The entire property was so large in fact that once I was done with my guided tour, I became lost for a measurable amount of minutes looking for people I had arrived with. Suddenly, I felt as though I was alive during the medieval time period and that walking around the castle was a daily activity. Traveling to the castle gave me that rare opportunity to be part of the historic battles that occurred while seeing how people lived their lives. Getting lost was one of those rare opportunities to explore on my own and become part of the history of the castle. The most surest way of witnessing history right before your eyes is to visit the places where it happened and to take in every detail. Imagine that you have been given eighteen hours in Glasgow with a limited budget and a sense of adventure. The museum is the best place to start, especially for those who just flew into the city with a desire to know more about the development and history of Scotland. The museum offers something for everyone, with stuffed animals near the entrance as well as a statue of author Robert Louis Stevenson. Visitors may be surprised to find that Robert Louis Stevenson was once a native to Edinburgh. The convenient hours at ten to five at night also serve as another reason to take full advantage of the museum’s exhibits. The museum offers floors and floors of exhibits, including one on Ancient Egypt, one on armor, and a good deal of art. Familiar names can be found such as Van Gogh. The fact that the museum is free makes it all the more likely to be explored as an art gallery and as a museum. Arms and Armour cannot be overlooked, nor can the floor showcasing Scotland’s natural history. After the museum, freshen up at Willow Tearooms with quality tea, averaging three pounds. The setting is fancy with white cloth and pastries included by order. Petite desserts can be ordered with drinks as well along with a sandwich. To keep things cheap, it is a good idea to just order tea and maybe a small dessert as well. As far as a meeting place goes, the tea room cannot be passed up, with an opportunity to enjoy quality tea or a sandwich over a conversation with a long lost friend. The tea room offers tables just for two friends getting together for a short afternoon. The atmosphere is peaceful making conversation and enjoyment easy as pie. For the art enthusiast, there is one location that offers the whole song and dance. The best part of the tour is that profits benefit the school. The school offers walking tours for an hour or two and a half hours, ideal for a traveler on their own planning to spend a good part of the afternoon. The tours are reasonably priced with a good background history on Mackintosh and his design for the buildings. On the front of the building, the original plan by Macintosh himself is visible over the stairs leading to the entrance. One important item to note, a great majority of the school was lost to a fire on May 23rd 2014. Those who wish to have more down time with friends need not look any further than the Pub Still with its tastings every Wednesday at 7:30 p.m. Single Malt Scotch Whisky can be ordered from here for only ten pounds or less. Located on Hope St. it proves to be the perfect hangout spot for natives and foreigners alike. Glasgow offers several activities to do while on a budget that are both entertaining, informative and enlightening to those who take advantage of them while on foot. It was on the bus to the Isle of Skye where I met Richard Galaway; a thin, tall, handsome adventure guide with a lot to say on the bus ride to Skye and back. While on the bus turning away from Edinburgh we passed a series of brown houses and Richard spoke in a truthful tone. “That’s J.K. Rowling’s house.” He ended up just joking, causing everyone to laugh because he had convinced them that she lived in that house. I thought to myself and said yes, because I really love music. Soon, the bus filled with the music playing softly against the engine’s rumble. I said to the young woman next to me, “This is my favorite band.” She smiled; and said she was from Montreal. Introducing bands was one of his favorite things to do while on the bus; he showed us bands local to Scotland. Throughout the bus routes, he continued to introduce several new rock bands. Upon arriving at the Isle of Skye, as the bus passed several innocent blue and red boats sitting in the harbor, Richard said, “A warning to the females on this trip, see those boats, those are for nuclear activity.” At this, I became distressed and did not have much of a response, but I smiled because I figured he was joking. We checked into the hostel, and then we walked across the beach to a restaurant. The location looked like a beach town with boats. While on the way to the Old Man of Storr the windows showed off the mountain we were about to climb, and Richard said, “The mountain of the old man of Storr looks like an old man lying on his back.” he said and everyone on the bus began to laugh. My impression of the Isle of Skye was that it would be surrounded by mountains and waterfalls, this came true upon arrival. On the Isle of Skye, we stopped at a point overlooking a cliff, with water on the bottom and a waterfall. After looking at the cliff for a time I walked back to said “Beautiful place isn’t it?” “Yes,” I said, in agreement. Late in the afternoon, we took a hike up the Old Man of Storr. It was interesting to see so many rocks formed as spikes, making the mountain of Storr recognizable. Richard said, as he left the bus toward the trail; “It’s up to you, hike at your own pace because this will take two hours.” He told the students before they departed for the hike. ‘I am just going to take this slow,’ I said. 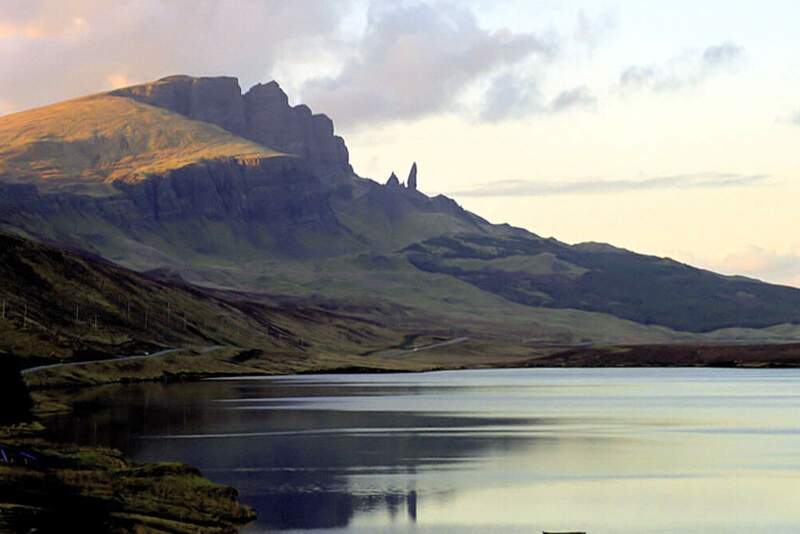 Once I reached a high point close to the top, I began to walk down slowly, taking in the Old Man of Storr. Later that day, Richard and I were on the bus, about to leave in order to explore the Isle of Sky further, and I asked him what he loved the most about the country. He said, ‘I like the pubs a lot, I don’t really like the weather.” This held true for him as well, because he was often seen in the pubs where we ate dinner. ‘I bet you are going to dance like an idiot to this song,’ Richard said, and I smiled and laughed while the song played. As Five Hundred Miles faded out, Richard asked, “Do you want to hear more songs?” I smiled and nodded my head in agreement as everyone else chimed in which caused the bus to be filled with music once more. Upon returning to Dalkeith house; everyone pitched in and gave Richard several pounds. I said ‘Thank you,’ and he seemed equally thankful for the generosity. Suddenly, Richard walked slowly back to the bus ending the soundtrack to our journey as he drove five hundred miles toward his next adventure. Upon setting foot in the building of the Mary King’s Close tour on the Royal Mile in Edinburgh, Scotland there was an expectation for the tour guide to explain the narrative its history. Tours run every fifteen minutes with tour guides dressed in 17th century clothing. 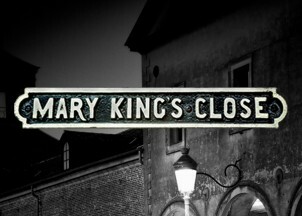 Surprisingly enough, the stories about Mary King’s Close are shockingly true and they are worth exploring and reading about. A clash between tragedy, good and evil exist throughout the tour and it is not difficult to see where these themes exist. During the first few minutes of the tour, the guide took time to talk about the events that went on with an accent and a sense of fear in his voice. This strategy allowed the audience to feel the fear and sadness of the situations described in each room. The tour guide pointed out several people who lived in one room. Suddenly, there was yelling to alert people in the street of sewage about to be thrown in the street. The words said by the guide in a suspenseful way by capturing the stress of people living in poor conditions. The tour showed the Black Plague and the Bubonic Plague and the tour guide explained what happened to the people during that time and what people did to prevent the disease. The guide was suspenseful in explaining the Plague. The guide explained the situation in a low voice and by painting a tragic picture of the two diseases. Before moving on to the next room, he said the next place was supposed to be haunted, he turned his head back to the group and said it in a way that was quiet but suspenseful. The audience was left at that final word of “haunted” which caused chills through every single person in the room. The doll, named Annie existed in the room and that is where the fear occurred when a Japanese psychic visited the doll’s shrine, the tour guide explained this. The room had a bunch of toys that were said to have been left by the psychic, there was also a lot of money on the ground. The actual Mary King’s Close was located right at the end of the tour. At this point, this location was history at its finest because it was a long and dark hallway that brought with it a sense of fear. This place was where, the tour guide explained, a lot of the sewage was dumped into the streets, exposing those who worked and lived there. There was a workshop where a man was making saws, he was a part of the Coltheart family. There was an opportunity to look down at what the streets looked like at the time, it was dirty, wet and dark. The tour guide went over why it was called Mary King’s Close because it was a place with a series of streets and small spaces. Suddenly, a sense of fear crept over the audience at the dark hallway. 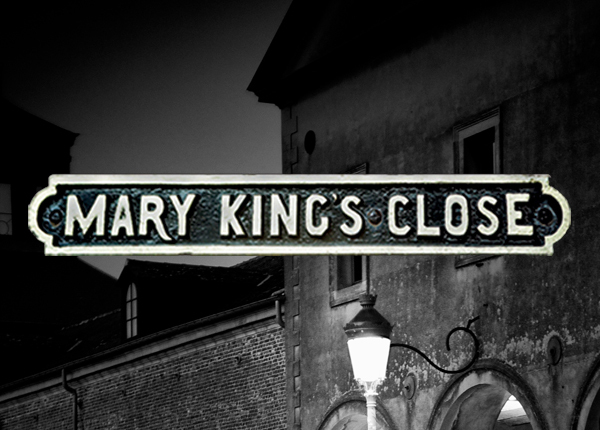 The end turned out to be the man saying the Mary King’s Close tour is officially closed. The tour guide was effective as a whole with the early century dress and accent. The most impressive aspect of the tour guide’s talent was the fact that he could be able to scare the audience when he emphasized important words. This allowed the audience to listen to the stories being told and react to what was being said. Even before my plane landed on May 19th 2016, I was drawn to the green patches that made up the Scottish landscape which was evident once we drove into the driveway of the house. Once I arrived at the house, my jet lag seemed to pause when I became transfixed in taking in not just the house, but the property of 800 acres of endless green grass and trees. Patty, the Resident Director greeted me at the front door with the plaque that read “Wisconsin in Scotland” in the background. However, I was relieved to be at such an ancient house with such a large history of the people who studied there in the past. Dalkeith house met my expectations with its overall size, when I came upon it, I thought that it was large and it reminded me of Harry Potter. The house was conveniently situated out in the country with a woods just beyond it. Early on in the program, I got a chance to explore the grounds with my friends I flew over with, we explored the woods and the paths it had to offer. One of the first locations I explored was a large bridge overlooking a small waterfall, while walking on the path, I looked down on the grass and witnessed a slug moving quite slowly across the wet grass. I thought it was interesting to see the slug as well as bumble bees that were a different color than in the United States. Deer were also viewed with my group on the path which were must smaller than the white tailed deer of the United States. The best surprise I got while living here is the people of the community let their children and dogs play in the yard, this shows me what a wonderful place this is, it is so fun to watch them especially in the sunshine. Seeing that makes me feel so much more welcome here and I am eager to go out and talk to them. I feel as though they are eager to talk and get to know me. It is interesting to see the different breeds of dogs. The people there turned out to be warm and welcoming to me which was one of my favourite things, feeling welcomed on an abroad trip seemed to be the gateway to adventure. The city of Dalkeith was small with coffee shops and a grocery store. The buildings were stout with a lively interior which is what I expected from looking at photos of Dalkeith. The first town I explored with my friends from the plane was Dalkeith. Overall, it was a cute town with small shops and cobblestone streets unique to Europe. When I was eating lunch, I experienced a language barrier that I thought was a lot different. I ordered a sandwich with French fries. Upon receiving my meal, I sat frozen not because I was surprised, but rather confused. I had been given an appetizing sandwich with French fries. What I thought I was going to receive was a bag of chips that I had received when I ordered the food. I asked the waitress for chips, she said I had already received them. I frowned and asked her again, she said the French fries were chips, I smiled and laughed at myself because I thought I would receive the same food as in America. I returned to my food ready to eat it with my friends who had taken me all around Dalkieth.This was another reason why I felt welcomed at Dalkeith house with so much positive energy from those who greeted me. Almost every day, my friends from Whitewater who were involved in the counselling program acted as my tour guides through Edinburgh, I was excited by the fact that I got to see the city with the large buildings and unique churches. I learned that Edinburgh had a large focus on history as well as the offers for the ghost tours scattered around town. They showed me the ways of the city and continued to be my travel buddies throughout my experience in Scotland during the first week. My confidence in traveling on buses and through the sprawling city became more and more evident throughout the first week. While in Edinburgh the first week, I found a museum dedicated to the history of surgery which I found to be interesting and unique. Edinburgh showed a passion for music did exist. There were many music bars, which painted the picture of rowdy guests as well as people being loud, I went into the bar itself and there were people who danced pleasantly while the music was playing. Me and my friends sat down at the bar and watched an elderly couple dance along to the music, I thought that was a good introduction to Edinburgh. The previous impression I got from being in Ireland where people turned their passion toward drinking. Those seemed to be abundant throughout the city which meant the Scottish were passionate about their haunted past. Edinburgh also proved to be a sprawling city as well, abundant with busses and cars zipping through the city daily. 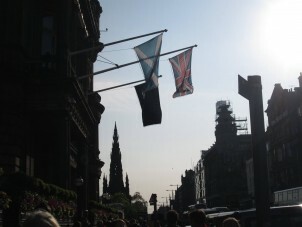 Walking through the city, I noticed all its beauty as well as Edinburgh castle which was shown in the photos of Scotland. Seeing the man playing bagpipes in the heart of the city with all the people walking through it was impressive to me because that is how I pictured Scotland to be. The music made me feel welcome and it showed me the Scottish relish local music. Overall, my experience in Scotland has been quite interesting with many chances to learn about travel writing. There also have been endless opportunities to explore Edinburgh and Dalkeith in order to learn my way around with people from Whitewater who turned out to be my travel buddies. To this day, I look at the plaque and remember the day I arrived and the journeys in Scotland that are yet to come. When I first heard the word Edinburgh, I thought it was a rather elegant word, filled with large buildings and a haunted past. the day I decided to go there my expectations were met. The first thing I did when I got there was to look around at the large buildings. There are large buildings everywhere as well as many people. Once we were there, we walked around until we found a small diner where we ate food, I had a sandwich. My face lighted up at the fact that we were there because I like spending time in cities where the culture is there. Once we finished lunch and the smoothie I ordered which was strawberry banana with real fruit pieces, we continued on to explore the city. A walk down the street lead us to the museum showcasing surgery, it was quite interesting to see the different surgeries that were done. The museum showcased old skeletons as well as body parts affected by numerous ailments. A quite a bit of time was spent at the museum walking around and seeing different surgical tools used to conduct surgeries. In cases, there were sheers and forceps that were used to conduct surgeries that were without anesthesia. There was also the chance to purchase a nice t-shirt that was abstractly decorated with a electric guitar which was awesome. I liked the color and the fact that I had the chance to speak to a local about where I was from and what shirt I liked. He was a vendor who was selling t-shirts that day that showed what I was interested in the most which was music because there was a t-shirt that featured guitars on the front. The museum featured different floors which housed skulls and other body parts. I thought that the museum featured many items that my friends were interested in and it was for sure a different viewpoint other than just a history museum. The museum also featured a story about a man who murdered sixteen people and stole their bodies from the cemetery. This story seemed to be a trend around Edinburgh because there was a dungeon attraction which featured the same story. We walked a bit farther where more large buildings were viewed which made it interesting because of their size which was neat. The buildings I walked down were traditionally European because of the architecture on the sides. When I turned my head I saw a street that looked like it was part of the older part of town, it featured a building that looked like a castle, it also had characteristic buildings of Edinburgh. I thought that that was a large part of the Edinburgh culture. I walked down the street which was cool because there was a large building that had the characteristic architecture. There was also a church steeple that was unique because it was black and it looked like a very old cathedral. The history in it was there and I admired it for its design, the color and the magical look of the architecture. We went to a bar which featured live music and alcohol, it was also green which reminded me of an Irish pub. I thought the design was cute and it featured music legends such as the Beatles on the wall. While there, I was treated to the acoustic music of a solo artist. An elderly couple began to dance to the music in a way that did not disturb the artist, they moved around the bar without caring who was watching. I thought that that was the best part of the trip. The artist complimented them on their dance skills while they applauded his performance. Today, we went for a walk around the Estate which proved to be quite interesting for such an old building. We walked outside of the building said “Wisconsin in Scotland.” 1986. I thought that was a testament to how long the building has been here and how many students have been through the house and have experienced Scotland. We decided to walk along the side of the house to where a steep hill towered over the rushing water below, the water continued to rush loudly until it gave way to a waterfall. This was on the opposite side of the bridge that gave Dalkeith house scope, meaning it was a good photo opportunity for those wishing to view it as a whole. We continued to walk farther by the trail which lead us farther along the rushing river that was once part of the waterfall. Throughout the hike, we walked around and observed how the deer, birds and insects differed from Wisconsin. I thought it was really interesting that the bumble bees looked orange instead of the traditional black and yellow. I thought it was a bit comical that the insects looked so different from ours. The deer also looked different as well because they were smaller and their fur was much brighter red than the deer of Wisconsin. The birds sounded different and looked a bit different, which was interesting to me because they were still birds because they sang such a pretty song. The final highlight of my afternoon was when I got to walk along a path with a large rainbow phenomenon in the distance. I thought it was the largest and most enchanting rainbow I had ever seen, I loved seeing the rainbow because I felt it symbolized the beginning of a great journey at Dalkeith House. I am excited to say that I was asked to decide on how I feel about my upcoming experience in Scotland. First off, I will begin with the idea of what I want to learn about myself is I want to learn about how my independence can take me to different places. The second thing I want to learn about is what can allow me to communicate with people so they know what I want to do with them. I want to know what is coming up in the program so I can get excited about it. The life skills I hope to gain through this experience is important such as communicating and living independently while I am abroad so I can develop an understanding of myself. This is important to me so that I can get to know the people there, I really want to know how I can develop an appreciation for the culture on an independent basis. That means, I want to be able to interact with the locals in order to become accustomed to living in the country since I am there for such a short time. This is to make it important to me and so I can develop as a person as well as begin to enjoy myself. Culture shock is also something I want to work with since I want to be able to transition into a different culture by myself and on my own terms instead of watching a group deal with it. This way, I can see for myself how I do make a transition to a different culture so that I can plan for the future and develop a understanding of the world. What I want to learn about the world is the government itself and what I can discover about it in order to learn more about it. I want to learn about the relationships of Scotland has with the world. History is the biggest thing I want to learn about since that has a lot to do with Edinburgh since there is a lot of history within Edinburgh because it is a big city and it is known for its history. I want to learn about the history of the different regions in Scotland since that is a very important part of the history of the country. One thing that is important for me to accomplish is getting past culture shock because that is important to anyone who is transitioning into a different culture and I want to learn about how the transition works for myself specifically. This understanding will be important for me to accomplish because I have never truly understood it until I will be by myself in an airport trying to transition to the plane and realizing that I am going it alone. Another thing is to balance academic responsibilities while in country because there will be opportunities to go away for the weekend but I will not have to go anywhere every weekend, because I will have schoolwork to do as well. So being efficient with time will be the most important. The way I am going to make strides to improve my success in Scotland is to pay attention to myself while I am abroad and pay attention to how I feel. This way, I can transition successfully to Scotland and develop a clear mindset so as to have the best experience possible. As for balancing responsibilities, I will have to make sure I take care of the responsibilities of Dalkieth house as well as homework before I do anything outside of school. This is the most important part of traveling abroad, so that I will enjoy my trip the most and be able to learn a lot. I want to put the study back into study abroad. Powered by WordPress MU & designed by Andreas Viklund. Theme pack from WPMUDEV by Incsub.